Is Alexa too smart for our own good? RTS Futures event, which showcased the new drama Flack, on UKTV’s W channel. The first episode was previewed to much applause. This was followed by a Q&A session featuring Flack creator Oliver Lansley. Full reports of both these evenings are in this edition of Television. Female writing talent is to the fore in this issue. 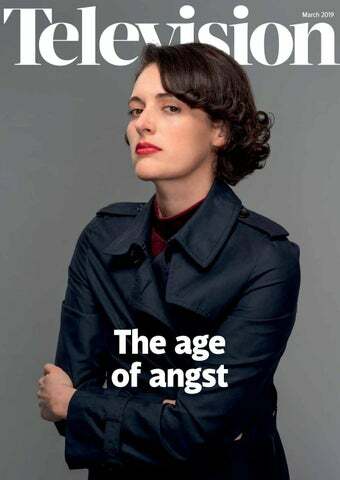 Caroline Frost’s heartfelt piece takes the brilliant Fleabag as a starting point for an exploration of how angst is inspiring some truly great television. And we have an interview with Lisa McGee, creator of the hilarious RTS award-nominated comedy Derry Girls. – a whole new ball game! with seven wins for Channel 4 News and another for Dispatches’ Myanmar’s Killing Fields. Channel 4 News’s Cambridge Analytica investigation is rewarded with a clutch of awards. I had an inkling of what a remarkable story it was when, during a meeting at a Hollywood studio last year, a senior executive burst into the office and declared: “I heard there was someone from Channel 4 here, and I just wanted to thank you for saving democracy!” My favourite moment of the evening is when Channel 4 News investigations editor Job Rabkin, who led the Cambridge Analytica investigation, has to get special dispensation not to have his photo taken after receiving the award for International Coverage. He has to rush back to his table in time to collect the next award, this time for Home Coverage. ■ At the weekend I flip on Radio 4. It’s Weekend Woman’s Hour and I am delighted to find that they’re talking about our 100 Vaginas film. Except that the discussion seems to be mostly about why it was not more accurately titled 100 Vulvas. Laura Dodsworth generously sug­ gests that the channel feared it might have been confused with a film about Swedish cars. The presenter is unim­ pressed. “It’s just an indication of how far we still have to go,” she concludes, wearily. Ian Katz is director of programmes at Channel 4. Pure’s dark central concern, a serious and life-inhibiting condition that, she nevertheless realises, lends itself all too readily to humour. “Comedy releases a tension. Mental health is a difficult thing to talk about – you pussyfoot around, not wanting to offend anyone,” she says. “But if you can laugh around the subject, without making it the punchline, it’s a way in. “And if you can laugh at something, it disarms its power. We could have made a bleak or really earnest show, but we wanted to find some joy in the pain, so it’s not all doom and gloom. Laughter is what gives it hope.” n Caroline Frost is a former Chair of the Broadcasting Press Guild. listening out for their wake word and, so far, without much of a consumer backlash over privacy. However, while most people find a “hands-free” option a useful way to operate these devices, smart speakers are in a class apart. Unlike the smartphone, they are a pointless purchase if you don’t feel comfortable about using a voice assistant. The logic of a smart speaker is that it is left constantly on, the voice assistant primed to receive its wake word – “Alexa” in the case of Amazon’s Echo. This is not the same as an always-on device that records the chatter amid the clatter of dishes in the kitchen, say, to be stored on a server to haunt the user with dark secrets gained by eavesdropping. Even so, high-profile bugs and false positives, where conversations were recorded by mistake, have not helped allay the public’s fears. both companies, Google is, if anything, more exposed to customer suspicion simply because its status as a business driven by data is better understood by the public. It therefore needs to be unimpeachable on the privacy front. Scandals such as the early versions of the Home Mini recording without being woken up are exactly the sort of thing it needs to avoid. to get the speaker into as many homes as possible and for it to be used as widely as possible. Eventually, affiliate fees from third parties should be a fairly flexible way for Amazon to extract value from its position between businesses and customers. But, in the short term, data collection seems to be the primary commercial aim. Amazon’s strength here is enhanced by the billing relationship it already has with every Echo owner via their Amazon accounts. Amazon and Google have built these devices to gain entry to the home, and they compete against each other by offering low prices – to the benefit of purchasers. The revenue potential of a powerful platform position inside the home is only likely to be realised in the future. And it will require the user to be ever more intensively engaged with the device, to the point where it becomes used for many purposes. At that point, a user will be communicating a great deal of information about who they are and what they like to Alexa and Echo. Consumers are increasingly aware that they are often the product, not the customer, in the online economy – they pick up on the steady stream of data breaches, hacks and scandals, and are understandably nervous about installing a connected microphone in their homes. The abuse of Facebook personal data by Cambridge Analytica is only the most prominent of these scandals. Although Britons are not as touchy as Germans, say, when it comes to privacy, they are certainly more alert than US internet users, for whom Amazon first developed the Echo. We don’t expect the average Brit to acquire all things new and shiny just because they are labelled “smart”. Amazon has a pressing need to build trust, because the present absence of trust is a barrier to Echo’s success. The company does inform users on data policy, as part of its obligations under the General Data Protection Regulation that came into force in May 2018 – but compliance is in its early days. Much remains to be clarified for potential owners of these devices. We expect the UK regulator, the Information Commissioner’s Office, to contribute to reversing the climate of mistrust by pursuing compliance with core principles that apply to the gathering and processing of personal data. n Alice Enders and Joseph Evans are analysts at Enders Analysis. � We took it back to the US and pitched it to some American channels. Pop said yes.” The green light was given in November 2017 – seven years after the lunch where the idea was first discussed. Filming commenced in January 2018. “Flack felt spot on for W,” said Thornton, who had been at UKTV for only six months. “At the time, I was not thinking of making a drama, but W is aimed at career women, metropolitan thirtysomethings. “Some broadcasters might have gone, ‘Oh no, we can’t do drug taking.’ For us, as long as it was justified and felt like it was properly integrated, we thought this was something that felt very real. People do talk like that and behave in that way some of the time,” he said to audience laughter. “The hybrid version that we ended up with was perfect,” said Lansley. “The show embraces both the worlds of English and American celebrity. We jump between the two.” He described the process of having the show rejected so many times by different broadcasters as “devastating”. “If you write, you develop a relationship with the characters you’ve created. To have this whole series sitting there was devastating. It’s very hard to carry around all these characters in your head.” Ultimately, however, the longer Flack was worked on, the better it got. “Personally, I think we’ve ended up with the best version of both the earlier versions,” said Talbot. Lansley agreed: “We’ve made a much better show because of the journey we went on.” n The RTS Flack screening and script writing Q&A was held at the London Transport Museum in Covent Garden on 19 February. The session was chaired by journalist Emma Cox and produced by UKTV’s Ali Laurie and Gem Pinkney. commissioners were part of the mix. The work of North West-based independent production companies such as mine has been transformed by being in the same city as commissioners, albeit only for children’s programmes and BBC Learning. Through the anchor tenancy of the BBC, MediaCity is now one of the most successful regeneration projects in Europe. It employs more than 8,000 people, many more than worked there when the Manchester docks were at their peak. This is why the Government is so keen for Channel 4 to help create similar success stories in Leeds, Bristol and Glasgow. Public service broadcasters need to be much more strategic about what they commission from outside London. Production companies in the nations and regions need more returning series – but an economic report commissioned by Ofcom and published in December 2018 reveals that 86% of today’s returning series are made in London. More worryingly, in 2017, 75% of new series were commissioned from companies based in the capital. Channel 4’s decision to create a returning weekday live series broadcast from Leeds is excellent news. It promises an amazing opportunity to nurture the next generation of programme-­makers in the north. In an industry based on relationships, in which London plays such a dominant role, it’s also a very good decision to put the opportunity out to tender. Tenders level the playing field and should be used more widely as a way in which PSBs can create more returning series in the nations and regions. n Cat Lewis is Chair of the RTS in the North West and runs Nine Lives Media. Breakout comedy hits are rare, but Lisa McGee wrote one. She explains to Shilpa Ganatra how she did it it’s a shock how famous they are. They’re stopped all the time. It’s different even for me – I was in TK Maxx with my husband recently and someone stopped me and asked me if I wrote Derry Girls. It’s very strange.” Straight-talking and focused, she is a Derry native who began her wordsmith career writing for local theatre companies. Acquiring both an attachment at the National Theatre and an agent, she moved to London, where she is now based. excruciating situations. Derry Girls mines similar territory – with one big difference: the central characters are female. Lately, both the number and quality of female-led comedies have improved. Women’s roles have shifted from being predominantly nagging other halves or mums (the Men Behaving Badly model), to a smattering of awkwardly written lead females (Fox’s New Girl) plus more believable shows, such as Motherland (written by Sharon Horgan and Graham Linehan), Drifters (by Jessica Knappett), Fleabag (Phoebe WallerBridge), GameFace (Roisin Conaty) and Catastrophe (another of Horgan’s co-creations). But there’s still a way to go, warns McGee. itself in a really competitive environment,” says Jessel. “Fiona is what I’d call a ‘real person’ – someone with ideas and personality,” adds Simon Dickson, the former Channel 4 deputy head of documentaries and co-founder of Hospital producer Label1. “She’ll find her feet quickly and usher in a new generation of shows that will sit nicely both on TV and online. The key will be commissioning factual programmes that combine audacity, insight and fun. She has a nose for those things and I’m sure she’ll do a cracking job.” Brought up in Belfast, Campbell says she understands why some younger viewers feel disenfranchised by traditional broadcasters. Rather than dwelling on the decision to close BBC Three as a TV channel in 2016, she emphasises her belief that making shows that reflect viewers’ own experiences and locality will help draw in Millennials. She explains: “BBC Three has done well and garnered a lot of awards and a lot of talent. We don’t want to let go of that [but the channel can also] be uniquely British and uniquely closer to that young audience than anyone else in this country, never mind the world. Melanzana, with Feetham cast as his much-younger wife, Bernie. He is also in the latest instalment of Jed Mercurio’s police corruption thriller Line of Duty. In keeping for a series known for guarding the secrets of its dizzying plot turns, nothing is known of his criminal character, John Corbett, other than the teaser released by the BBC. This shows the actor pulling off a black balaclava. Pressed for further details, Graham confirmed only that: “He wears a balaclava.” Later this year, Graham will star in Scorsese’s latest film, The Irishman, playing a mobster in the company of De Niro, Pacino and Joe Pesci. He has also reunited with Meadows for Channel 4’s The Virtues, in which he portrays a man with a troubled childhood. Looking back over more than two decades in TV and cinema, Graham reflected: “This, to me, is not a job – I adore what I do.” n ‘In conversation with Stephen Graham’ was organised jointly by the RTS and Premier Communications. It was held at Kings Place in central London on 18 February. 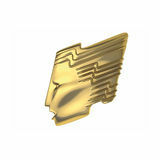 at the RTS n The RTS Television Journalism Awards are a highlight in our calendar. This year, the digital team went backstage to interview the winners about their work. Our video with Newsnight’s Emily Maitlis, who was named Network Presenter of the Year, has had 120,000 views on Twitter alone. You can watch the extended highlights of the night at www.rts. org.uk/TVJ2019Highlights. The universities of Gloucestershire and the West of England won two main awards each at the West of England Student Television Awards at Bristol’s Everyman Cinema. Memories of Mother, made by a team of students from the University of Gloucestershire, won the Factual award and was praised by the judges as a “brave” and “beautifully shot and edited” film. The winners of London’s Student Awards in February came from all parts of the capital. “The standard of entries for 2019 was very high – several jurors said that you could ‘broadcast that tomorrow’ about many of the films we watched,” said the Chair of the awards Aradhna Tayal. Comedy and Entertainment winner Chopsticks!! hosted the ceremony at the University of South Wales. In the student categories, Dogs in the Apocalypse won the Animation award, while the Comedy and Entertainment prize went to Keith Barry John. Faruq won the Drama prize and Mathew vs Pritchard the Factual prize. The awards jury also awarded four Craft awards, two of which – Cameawork and Production Design – were won by Kerby Ng for his work on the drama, A Table For. The Sound prize went to Connor Law Twigg for Maggie’s Farm, while Vratislav Karas took the Editing award for Mathew vs Pritchard. ­ residential election, when Tehran p accused foreign powers of interference. Tellingly, while the Iranian authorities accuse the BBC of telling lies, relatives of BBC journalists who work for the channel are regarded by locals as celebrities. ■ Off Message was intrigued to see the much-trailed BritBox finally firmed up. On the other side of the Atlantic, the North American version of the platform has, in two years, built an audience of 500,000 subscribers, each paying around £5 a month. The UK edition of BritBox is promising original bespoke content, but the treasures in the BBC and ITV archives ought to be enough on their own to secure a loyal following for the service. We wish BritBox well and look forward to discovering who will be appointed to run it. ■ As every football fan knows, these are exciting times to be a Norwich City fan. The team, owned by a certain celebrity TV chef, is riding high in the Championship. It is not only the beautiful game that is putting the East Anglian capital on the map. A native of the city, Olivia Colman, is having an extraordinarily good run, even by her own high standards. A recent Oscar winner for her mesmerising performance as Queen Anne in The Favourite, the actor is also lighting up screens playing alongside Phoebe Waller-Bridge in Fleabag. To think, later this year, Colman will be seen cast as another British Queen, when Netflix’s The Crown explores the Swinging Sixties and turbulent 1970s.